2017 Chair Person –Symposium of Folk Lore -Cultural Center and Art Circle- University of Sri Jayewardenepura, Sri Lanka. 2017 - Review Panel Committee Member –Symposium of Folk lore Organized by Arts circle - University of Sri Jayewardenepura, Sri Lanka. 2017 -Committee Member -Vidyodaya Undergraduate Research Day - University of Sri Jayewardenepura, Sri Lanka. 2017 - Review Panel Committee Member -Vidyodaya Undergraduate Research Day- University of Sri Jayewardenepura, Sri Lanka. 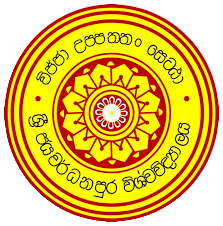 2016 Chair Person –Symposium of Folk Lore -Cultural Center and Art Circle- University of Sri Jayewardenepura, Sri Lanka. 2016 Review Panel –Symposium of Folk Lore -Cultural Center and Art Circle- University of Sri Jayewardenepura, Sri Lanka. 2010 - Committee member of The 50th anniversary cultural programme (Naada nadee) and the SLUG games .